If Justin Bieber ever tires of the music industry, at least he has a career option to fall back on: cosmetic sales. Bieber’s nail polish collaboration with Nicole by OPI sold over million bottles and now, according to recent reports, Bieber’s fragrance for women Someday sold $30 million at Macy’s. This is an impressive number to start out with, but only time will tell if the fragrance sales reach $100 million within the first year. Someday is a romantic scent with floral notes and a cute little round bottle with a heart shaped neck/cap that was designed to look like a pretty flower. Its a youthful and playful scent that young girls wear in hopes to feel closer to their favorite teen star. It seems that today’s celebrities have become more than just an individual entertainer, they come as a whole marketing franchise that includes everything from tee shirts, collector dolls, and of course a fragrance or two. It looks like Justin Bieber has a knack for creating cosmetics and beauty products, or maybe its just his loyal fans who want a piece of everything he’s created. Have you tried his new fragrance yet? What do you think(or hope) that Justin creates next? After his recent family reunion, Justin interacts with fans while going to an Ontario mall and hitting up a local convenience store! After spending time camping with his family, Justin Bieber has returned back to his native Canada — and only HollywoodLife.com has the EXCLUSIVE details about his visit to a local mall. 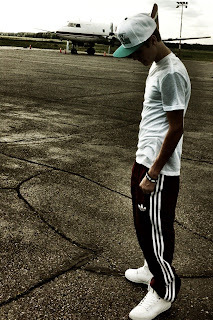 Justin, 17, was spotted shopping July 7 at the Timmins Square Mall in Ontario, The Daily Press reports. And fans were shocked when they spotted him and his entourage at a nearby Mac’s Convenience Store. Selena Gomez Spotted Wearing Boyfriend Justin Bieber’s Purple Plaid Shirt! Selena Gomez really misses her boyfriend Justin Bieber. The teen dream couple is currently separated by the Atlantic Ocean, but they are still showing their love for one another in very sweet ways. Selena has been bopping about London today wearing one of Justin’s favorite purple plaid shirts and toting around the MCM bag he gave to her! Wearing The Biebs’ favorite color purple is certainly a sweet sentiment! Selena made her way out of the ITV studio in London today sporting the same jeggings she has been wearing a lot on her trip and Justin’s purple plaid shirt. She is currently on a promotional tour for her latest film, Monte Carlo. Selena has also been potted holding a brown leather purse from MCM. Justin was recently seen with Jaden and Willow Smith picking up $6,000 worth of items at the MCM Boutique at NYC’s The Plaza Hotel, according to The New York Post. We love the little love messages the duo send each other and can’t wait for them to reunite! He's only 17 years old, but high roller Justin Bieber already knows how to live it up in Sin City! 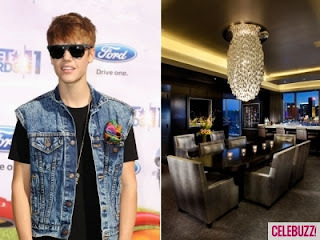 The teen superstar stayed with his dad in the ultra-chic Hard Rock Hotel & Casino Platinum Penthouse in the Paradise Tower on July 2, and spared no expense on the weekend getaway. Complete with skyscraper views of the city, flat screens, a pool table and a wet bar, the ultra-glitzy, multi-room penthouse was fit for a king -- or maybe a mini mogul! That night, Justin tweeted, "UFC fights tonight. Excited to watch em with my dad" before heading off to take in the UFC Cruz vs. Faber fight at the MGM Grand Garden Arena. And the father-son duo must have worked up an appetite at the fight! They headed back to their penthouse to kick back and feast on pizza, chicken wings, churros,and garlic knots, just to name a few. If that's what Bieber Fever looks like in Vegas, we want to catch it! She’s dating one of the world’s most famous pop stars, but Selena Gomez is keeping cool about her relationship with Justin Bieber, saying they're just having fun. And when ITV presenter Dan Lobb suggested that 17-year-old Justin was her toyboy, she looked shocked and said ‘What? After not being very impressed with the remark about her younger man, The 18-year-old then performed her new single Love You Like A Love Song in a loose T-shirt and jeans. Selena is in London promoting her third album, When The Sun Goes Down, with her band The Scene and said she’s really excited about going on her first tour with her band this summer. Late last year, Justin Bieber and his "homey" Lil Twist revealed they were working on a mixtape. Well, fans may soon get to hear a song and see a video from that mixtape. MTV News spoke to rapper Twist at 106 & Park's Closer to My Dreams tour stop in Los Angeles on Thursday, and he was enthusiastic that once the song reaches the masses, it would have a good chance at making a play in our race for Summer Jam of 2011. "My third single, 'Wherever You Are,' " Twist said of his summer jam pick. "It features my little brother Justin Bieber and I believe that that record is going to really do it," he told us. Twist went on to dish about the duo's plans to step up their game for the song's forthcoming video. "We're gonna get some treatments [written]," he said. "We're not just gonna pick any treatment because that video could just be out of here. We got a few different ones; I don't mean to name any [directors], but a few different ones. It's going to turn out great." The collaboration between the two young stars has been long-simmering, with Bieber and Twist teasing a full mixtape. For now, though, fans will have to settle for one track. Last November, Twist explained that Bieber had come up with the idea to work on some music together. "Me and Justin, we actually met through a mutual friend and after that we got real cool actually," he recalled. "[We] started working in the studio, sending stuff through the MacBook and everything. And then he was like, 'Yo, bro, we should do a mixtape. Let's go.' We just started then." Employees at a south-end Shoppers Drug Mart allege two teenage girls wearing dark hooded sweatshirts walked into the store Wednesday night, grabbed a cardboard cutout of the teenage heartthrob and walked out. The cardboard Beiber had just arrived Saturday at the Scottsdale Drive pharmacy. Guelph Police have been notified and are looking into the incident. The cutout was being used to promote Bieber’s new fragrance Someday. The 17-year-old singer partnered with Give Back Brands to manufacture the scent for female fans. Profits from the sale of the fragrance will be donated to Bieber’s favourite charities. Scottsdale Shoppers beauty boutique manager Angelica Anselmini said the cutout was going to be auctioned off after the perfume promotion. Proceeds from the local auction were going to be donated to a children’s charity. Anselmini said Bieber stood just inside the drugstore’s entrance. “He was there to kind of greet you. He was the first thing you saw when you walked in,” Anselmini said. She said video surveillance shows one teenager wait for the fragrance counter employee to help a customer. The girl then grabs the cutout and walks to the door, Anselmini said. Anselmini said a second girl can be seen holding the entrance door for the thief. Anselmini thinks a third person may have been waiting in a car in the parking lot. Cutouts of Stratford’s singing sensation are on display at every Shoppers Drug Mart. A call to Shoppers Drug Mart’s national office was not immediately returned. Several employees at the Stone Road Mall Shoppers Drug Mart said their cutout is popular among Bieber’s young female fan base. It’s not uncommon for pre-teen and teenage girls come in and pose for photos with the cutout. Bieber rose to international superstardom after being discovered on Youtube. He is the first male artist to develop a fragrance for his female fans first. KITCHENER — A campaign to persuade teen sensation Justin Bieber to lead this year’s Oktoberfest parade is getting off to a slow start. But it’s way too early to get discouraged yet, Mark Kreller, executive director of Kitchener-Waterloo Oktoberfest, said Thursday. “We thought it might take off a little bit quicker,’’ Kreller said. About 1,000 people have viewed a cover of Bieber’s hit song Baby that was posted to the Operation Bieber Facebook page to try and attract his attention. “It’s starting to gain a little bit of traction,’’ Kreller said. But organizers want to see evidence of greater interest before contacting Bieber’s people about the Stratford-born singer being this year’s parade marshal, he said. Last year’s attempt to lure U.S talk show host Ellen DeGeneres as parade marshal was also slow to get off the ground, he said. But that campaign ultimately gained momentum, swelling to 32,000 fans on a Facebook fan page. The idea to invite DeGeneres was hatched after she used a photo of an Oktoberfest inflatable lion float on her show. The photo of the back of the lion appeared phallic to some people. A mass chicken dance was even held at Kitchener city hall as part of the campaign. Ultimately, she wasn’t able to come, however. But Kreller thinks they have a chance with Bieber because he’s from Stratford. The parade usually draws 150,000 people, Kreller said. Organizers are planning to set up a contest on Facebook, inviting people to create their own video invitations to Bieber. Even though Bieber isn’t of drinking age, Kreller doesn’t see that as a problem. Oktoberfest hasn’t been seen as a beer-fest for years, he said, but instead is a cultural event. Oktoberfest hasn’t heard from any of Bieber’s people, although Kreller assumes he knows about the campaign. He hasn’t commented on his Twitter page, yet, however. Pop star Justin Bieber’s 3D documentary Never Say Never should satisfy any die-hard Bieber fan and even those doubters.“He is a regular kid who had a dream and it, like, came true,” says one teenage female fan outside a Justin Bieber concert. That is what director Jon M. Chu strives to show: a young kid from a broken but loving and stable -- home in a tiny town in Canada discovered through internet. Priceless and adorable, this is what will keep his fans coming back for repeat viewings. For the non-believers, it shows that the boy is talented and willing to work hard for his success. The home videos are also inter-cut with the people in Bieber’s life, past and present - his mother, grandparents, schoolteacher, best friends and others who knew him in his hometown of Stratford, Ontario. We also meet everybody on Team Justin - the vocal teacher, the manager, the bodyguard, all of whom come off as sincere and protective of their young prodigy. The concert footage -- featuring plenty of guest stars such as Usher, Ludacris, Boys II Men and Miley Cyrus, are ostensibly there to add star power, but only reinforce that it is Bieber -- and only Bieber -- that the fans want. 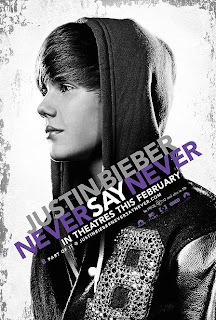 Never is that more prevalent then during the “Lonely Girl” portion of the film where during his concerts, a female fan is pulled on stage to be serenaded by Bieber himself as he sings the ballad, “One Less Lonely Girl.” The attention Bieber showers the ‘chosen one’ and the girls’ overwhelming response to being picked is the film’s biggest ‘feel-good’ moment. Although the whole stage act is designed to make one lucky girl’s day -- if not year -- Chu makes it an emotional and moving experience that is practically tear inducing. Selena Gomez has revealed she doesn't view boyfriend Justin Bieber as her soul mate - because she's only 18. The Wizards Of Waverly Place star also said she wouldn't rule out making music with the Baby singer, 17, at some point. When asked if Justin was 'the one' Selena replied: "No, I'm 18!" The teen star remained tight-lipped about her relationship, but admitted it was tough having her love life in the public eye. "It's awkward, it comes with territory," she added. As for a duet with Justin, Selena - who was in London this week to celebrate the launch of Disney Channel HD - said: "Maybe. Not any time soon." The actress and singer recently posted a video on YouTube of herself getting starstruck meeting her celebrity crush Shia LaBeouf. "I've been obsessed with him since I was like, 15," she admitted. "He's older, I admire him. I look up to him more than I want to marry him." Justin Bieber Hits Up Glitzy Vegas Penthouse! Bieber fever has hit Sin City! Although Justin Bieber might be too young to gamble, he enjoyed a glamorous stay with his dad at the Hard Rock Hotel & Casino in Las Vegas over the 4th of July weekend. The hotel’s penthouse was befitting for the adorable superstar, outfitted with an in-suite movie theater, gigantic hot tub and platinum walls reminiscent of Bieb’s platinum records. The father and son duo were in town for a UFC fight, and although they weren’t in the ring, they certainly worked up quite an appetite! The two took full advantage of all that room service had to offer­–dining on pizza, chicken wings, garlic knots, churros and more! Justin tweeted about the fight, saying that he had a great time and was excited to watch it with his dad. The teen heartthrob had plenty to celebrate, he was recently nominated for five Teen Choice Awards, including the coveted “Male Hottie” award against the likes of Joe Jonas and Robert Pattinson. Check out the full list of nominees here and make sure to follow Celebuzz on Twitter for more news and photos of Justin! Justin Bieber‘s spending his summer unlike any other 17-year-old: working on the follow-up to his record-breaking first full studio release, My World 2.0. British singer/songwriter Taio Cruz is part of the team working on the album and so is Dr. Dre, who’s produced two songs so far (it’s not clear, however, if they’ve made the final cut). Bieber was recently ranked number two on the Forbes list of Best Paid Celebrities Under 30. 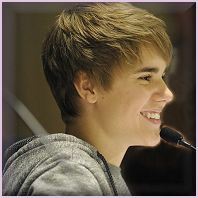 He’s the youngest star and one of seven musicians on the list, raking in with $53 million earned in a 12 month period. Teen singing sensation Justin Bieber is the latest celebrity to take up camping. The pop heartthrob has told fans that he was on a camping trip "literally in the middle of nowhere". He revealed details of his getaway on Twitter, but didn't divulge the "beautiful" location where he was spending quality time with his family. And the 17-year-old, who spends most of his life in the media spotlight, clearly enjoyed the chance to get away from it all for a change. He even taunted the paparazzi to "come find me" from his mystery campsite. Bieber, who also posted pictures from his trip, told his 11 million followers on Twitter: "Enjoying time with my family, literally in the middle of nowhere, but this nowhere place is pretty beautiful". And the Canadian star added later: "On the water, about to have a campfire. Camping is legit." The young singer is the latest in a string of celebs to reveal their love of life under canvas. US star Pink recently told how she spent US Independence Day camping. She wrote on Twitter: "So fun camping out with family and buddies." Over the years, UK celebrities like Kate Moss, Sienna Miller, Jamie Oliver and Jodie Kidd are all said to have enjoyed tent life. Justin Bieber Goes Camping Without Selena Gomez - Shocker! Justin Bieber has gone camping with his family and the pint-sized singer posted some pictures to which show him enjoying some time out of the spotlight. Bieber's family bonding trip - albeit in the middle of nowhere - must be a strange experience for someone who is followed 24/7. Bieber posted quite a few pictures to his Twitter account, and even taunted the paparazzi to "come find me", as if that will happen! He could literally be at any campsite in the world, how would photographers track him down? The only thing seemingly missing from Justin Bieber's camping trip is his girlfriend, Selena Gomez, with whom he has been attached at the hip. Was Gomez invited or did they need some time apart amidst rumors they are getting too "hot and heavy"? Either way, it looks like Bieber and his family are having a good time in the wilderness. Now, let's just hope he's a real outdoorsman and doesn't get eaten by bears! Some of Justin's twitter photos that he posted today. 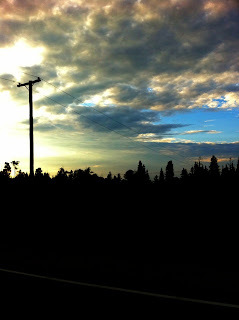 He said: "Enjoying time with my family literally in the middle of nowhere, but this nowhere place is pretty beautiful. On the water about to have a camp fire. Camping is legit. " There's a lot to be said for the way Justin Bieber has handled his teen years. Rocketing to stardom, his idea of "rebelling" is to tattoo the name "Jesus" on his body. But while Moms and Dads of America see the Biebs and think, "Wow, his Mom has got it goooood," one teenage boy sees a different story. When Leon, a rising high school junior, looks at Bieber, he sees a teenage boy who doesn't get to act like one. He's got a point -- how many normal teen boys' girlfriends get death threats just for dating him? So guess how Leon aims to fix this problem childhood? By inviting Bieber to his prom in 2012. It's all a big fat "pay attention to me" scheme on Leon's part. His JPMay300 YouTube account is full of odes to Bieber. But he makes a valid point, doesn't he? We're watching another child star shed his childhood each riot outside of a hotel room, crazed death squad on Twitter, feature on Glee ... at a time. If I look past my "OMG, my 6-year-old won't stop singing 'Baby'" crank factor long enough, I see a kid who is doing remarkably well -- all things considered -- but I start to feel a wee bit bad for him too. Even star kids making mega bucks and annoying songs deserve to have their first dance in an uncomfortable outfit with dozens of other zit-covered creeps trying not to bump into each other while they figure out how to keep from stepping on their date's toes. It's a milestone of childhood! The Biebs could do worse for a "normal" teen experience than hanging out with this wacky teen. Leon has apparently been "bullied" for liking Bieber, throwing him in with the 77 percent of kids who have experienced bullying. Maybe a little love from The Biebs will up his reputation in high school and get the bullies off his back? It seems a fair trade for a taste of "normal" for the night. JUSTIN Bieber has been splashing the cash on girlfriend Selena Gomez — and she’s not impressed. The 18-year-old singer and actress has told pals that she’s overwhelmed by Justin’s expressions of love — to the point where she has had to ask him to stop. “There’s barely a day goes by when Justin doesn’t treat Selena to something or have some surprise gift or trip for her,” reveals one source close to the couple. Recent reports claimed Gomez won’t wear boyfriend Bieber’s perfume! “Selena has got a bottle but she stopped wearing it when she realized Justin’s mother was wearing it too,” said a source close to the teen couple. Justin Bieber is still surprised that his YouTube videos made him famous! The teen sensation sent out a tweet on Saturday, showing that he feels so blessed to have been discovered. "Still crazy to me. Grateful," he wrote, along with a link to the new Google Chrome video (below) made in his honor. He may only be 17-years-old, but his talent was recognized for a reason. Not only is he great at what he does, but he seems so humbled by his success. That's not something easily understood by many famous people, and certainly not by kids his age. The video shows how things started for Bieber, and how one hit and one comment turned in to millions. YouTube played an intricate role in his fame, and it is crazy! He was just a kid uploading videos - that happened to be great - and now he is one of the most popular people in the world. Amazing. Justin Bieber and Selena Gomez did NYC up right this weekend, from shopping sprees to dinner dates. While Justin and Selena would be no where without their fans, the security staff needed to keep the fans away from the couple. One request that was made by a fan was turned down, but Bieber made it up to them. Dinner and shopping was the theme for the couple this holiday weekend and wherever they go, they draw a crowd. One fan approached the couple at dinner, but it wasn't a fan of the teen pop star, he wanted a picture taken of the lovely Selena Gomez for his niece. The security guards waved him away and the two continued on with dinner. According to the New York Daily News, Justin and Selena carried on with their dinner at a trendy Thai restaurant. The dinner talk was about dental work and the new "Transformers" movie. Just as the two were ready to leave, Bieber picked up the check for the Selena Gomez fan that was turned away earlier. Selena's fan might now have a picture, but he has a great story to tell. While fans have put Justin and Selena where they are on the ladder of fame, the two still deserve some time out like normal couples to enjoy dinner and shopping without being mobbed. Neither of these two stars seems to be the type to snub anyone, but in NYC they could probably spend all their time taking pictures and signing autographs, with the amount of fans that approach them. They have to draw a line. Perhaps the most famous 17-year-old in the world, recording artist Justin Bieber has sold more than five million albums since releasing his first single barely more than two years ago. Initially, the Canadian had no dreams of stardom at the age of 12, when videos of him singing were posted on YouTube for his friends and relatives to enjoy. If computer, television and mobile phone screens aren’t big enough for his throngs of fans, they’ll be able to catch him on the motion picture screen—in 3D, no less—when the concert film and documentary “Justin Bieber: Never Say Never” opens in theaters in the coming weeks. Music News caught up with the teenage heartthrob to find out more. MN: Your videos on YouTube began your career. Was that a conscious decision to build your fan base there? JB: No, I was just putting videos on there just for friends and family. Because I liked doing it and… I never, never wanted to be famous. That wasn't a dream of mine, because I really didn't think it would happen. I didn't think it was possible. MN: Once you saw how big it was becoming, at what point did you think, maybe we can aim higher than just my friends? JB: I never aimed high, I still just kept going, because I thought it was fun. I still didn't think I could get famous because of it. So I just had fun with it. MN: And then you got your manager, Scooter Braun, and you hit the road. What were those early days like? JB: Well, when Scooter found me, I moved to Atlanta. And right from there, I was traveling and going to a million different radio stations, just trying to get my music on the radio and to get myself out there. JB: I was like, whatever... I never had anything set in mind. So whatever happened, happened. And I wasn't angry or sad either way. MN: If you were not on the cover of Vanity Fair, if you did not have 280 million views on your latest video, if you did not have eight million friends on Facebook, six million Tweeters…at what point would you think, “Okay, this is good enough”? JB: (laughs) I don't know. I think everything happens for a reason. And this—whatever—happens, happens. I'm here, I'm doing what I love. And I'd be satisfied just playing sports in my home town and just being a kid. But, this has definitely been awesome. MN: When did “Never Say Never” come about? JB: It just kind of happened. MN: Did your process change with these 3D cameras swirling around you? JB: It's always weird to have cameras there, but I just kind of didn't really pay attention to it. MN: When did choreography come to be part of the package? Did you work with a choreographer? JB: Yeah. Well, I started out doing radio stations and performing at different radio shows. So I had to have some sort of choreographed stuff. So that's when that started happening. MN: What do you see as the growth between your first album, “My World” and your follow-up, “My World 2.0”? JB: Hmm. I just think music evolves and as you evolve, your music is going to change with you. “My World” was my first ever album. With “My World 2.0,” I was still new to it—I’m still new to it now. So I think every album is going to improve and every album is going to be different. MN: What's it's like to have Usher as a mentor? JB: He's really cool. And not even just musically, just to hang out with. He's just cool to be around and play basketball with…and just do anything. MN: He's been there, he's done it. Who do you like being compared to stylistically? JB: Oh, I don't like being compared at all. Because I think everybody's their own—some people try to be like other people. But for me, I'm just doing my own thing. MN: When you head back into the recording studio, are you going to try something different? JB: I'm still young. I still have only gone through what a 17-year-old has gone through. So, I'm just trying to do my thing. 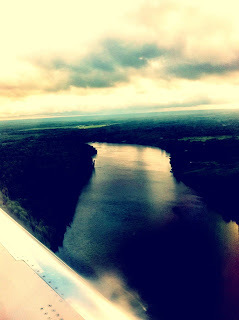 MN: Where would you like to tour that you haven't toured already? MN: Is there a place you're really looking forward to being? JB: I'm looking forward to going to Israel. And I'm going to China, Beijing. That's pretty awesome. MN: ou’ve collaborated with a bunch of amazing artists. Are there any out there that you would still like to get into the studio with, or get on stage with? MN: You had mentioned sports—if your life had taken a different path, do you think that's where you'd be? JB: Well, not professionally. But definitely for fun. That's something I love to do, so I'd be definitely doing that. MN: ou’ve done some good work on television, and seem to have a good sense of humor about yourself. Are there other things you want to try? JB: I like acting. I like singing. I want to do more writing for other artists as well. MN: You write, you perform, you sing, you kick a mean soccer ball. What's the most rewarding thing that you're doing right now? What do you get up in the morning and think, all right, I get to…? JB: It just depends what I'm doing during the day. It's like, I don't like doing photos or press (laughs), but I love performing for my fans. And…I just love waking up. I think that's a blessing in itself. Just being able to wake up. 'Cause every day above ground is a good day. MN: On your days off, what do you get to do? JB: I love to be with my friends. I like to do normal stuff. Like go bowling and play basketball, do stuff like that. MN: How do you remain grounded? When do you have time to be with your friends? JB: My two best friends, Ron and Chaz, I fly them out every so often, 'cause they have school. So I have to fly them when they don't have school and try to get them with me as much as possible. MN: Where do you think of as home right now? JB: I always think home is where I grew up, in Stratford [Ontario]. That'll always be home. MN: Your album sales, YouTube views—those numbers are impressive. All that aside, what really matters to you? MN: Then you can’t continue to perform. MN: Compared to a year ago, how are things different now? JB: Hmm. It's still the same. I'm different. I didn't think it would come this fast, though. MN: With tools like YouTube and Facebook, things seem to happen so fast these days. You can record something and an hour later 1,000 people could see it. MN: Michael Jackson, he couldn't do that. Even Usher couldn't do that when he first started. JB: Exactly. I’m still teaching my boy Usher how to use the Internet. To be in with a chance of winning 1000 CDs including rare, signed and promotional copies simply ‘like’ our Award Winning facebook page. Justin Bieber and his girlfriend Selena Gomez spent the Independence Day weekend aboard a 155-foot yacht moored in the Sag Harbour Marina in New York, according to the New York Daily News. The celebrity couple accepted an invite to join music mogul Russell Simmons and politician Charlie Crist on the luxury vessel 'Inspiration'. Bieber and Gomez were photographed frolicking on the back deck of the yacht at around 6pm on Friday evening (1st July 2011). Eyewitness William Coldwell, who was working on a nearby boat, said, "They were messing around. They showed affection, but it wasn't like they were groping each other". Coldwell also claimed that Bieber 'took off his shirt" and began, "playing patty-cake with Selena" A day earlier, the celebrity couple had dined at the exclusive Siam Inn Thai restaurant in New York's theatre district. A source revealed the duo chatted about the latest Transformers movie while enjoying Thai rolls and a number of rice dishes, adding, "All those little girls catching 'Wicked' at the Gershwin probably would have thrown their mothers off the balcony to get a glimpse if they'd known that Justin and Selena were just down the block". Justin Bieber hit the headlines last week after being tackled to the ground by an undercover police officer during a promotional appearance at MACy's department store. The officer had reportedly sought to protect the 17-year-old star after the crowd became "unruly". 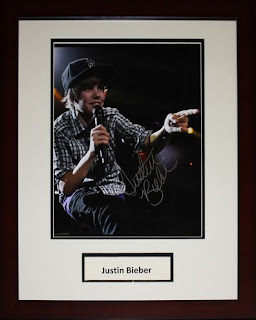 A charity event in New Jersey next week will give you the chance to get your hands on a picture signed by Justin Bieber, as well as items signed by Bon Jovi, Bruce Springsteen, the cast from Grey’s Anatomy, Jack Nicholson, Lance Armstrong, Michael Jackson, the cast of Twilight and many more. The 2011 Night for Newark Gala benefiting the Randy Foye Foundation is an elegant evening of dinner, dancing, special guests and incredible auction items. The event brings together donors, family and friends to honor the achievements of the students in the organization’s Assist 4 Life program, and raises funds to further support their goals. This year’s gala will be held at the Robert B. Meyner Reception Center in Holmdel, New Jersey on Saturday, July 9, 2011. The Randy Foye Foundation was formed by Los Angeles Clippers guard Randy Foye after his first season in the NBA, when he saw the immediate need to help children who are growing up in the same difficult environment that he did. Foye, a native of Newark, NJ who lost both of his parents before he turned six years old, later earned a full scholarship to Villanova University where he earned his degree in four years and was a lottery pick in the 2006 NBA Draft following graduation. Their mission is to improve the lives of at-risk youth through mentoring, character education and a series of special trips that create once-in-a-lifetime opportunities to experience new things. They prepare youth to be successful contributors to society and future world leaders. Who would know better than Selena Gomez? The Monte Carlo star is dishing on kissing her guy, saying that Justin Bieber is a "great kisser!" The young lovers have been packing on the PDA almost everywhere they go, and while they remain coy about their relationship, it is more than obvious that they are together. "You don't need to ask me this... He's said he is. He just comes out with so many funny things. Let's just say he has so many good points, but it seems modesty isn't one of them," she said when being interviewed by Heat Magazine. Well tell people how you really feel why don't ya! Most fans probably realize that Gomez is not referring to the little pecks she gets while walking through the mall. These two most definitely have super-kissing-sessions... and for all the Bieber-lovers out there, Selena has confirmed that the kid has a ton of swagger! Being Justin Bieber has got to be a surreal experience. Writing about him sure is. The pint-sized pop star and his girlfriend Selena Gomez kicked off Independence Day weekend in New York and the Hamptons with the adolescent equivalent of a romantic weekend that, sources say, included playing patty-cake on a yacht and talking about dentistry over Thai food. The "Baby" pop star also made Gomez scream, but don't get any ideas. They were just rough-housing. Friday afternoon found Bieber and Gomez aboard the 155-foot yacht Inspiration, which was docked at the Sag Harbor Marina. William Coldwell, who was working on a nearby yacht, tells us that Bieber and Gomez joined a crew that included hip-hop impresario Russell Simmons and, weirdly, former Florida Gov. Charlie Crist. Coldwell tells us that he and some of his fellow sailors photographed and videotaped Bieber, 17, and Gomez, 18, frolicking on the back deck of the yacht around 6 p.m. that evening. "They were messing around," Coldwell says, albeit in a chaste way. "They showed affection, but it wasn't like they were groping each other," he says. Indeed, the most risque moment in the video comes when, Coldwell says, Bieber "takes off his shirt and is playing patty-cake with Selena." Shortly after that, the Inspiration left port for a dinner cruise, says Coldwell, who, along with his friends, is entertaining media offers for the video. A day earlier, Bieber and Gomez had midtown atwitter when they dined at the Siam Inn Thai restaurant on W. 51st St.
For those who've always wanted to know what the three-quarter-scale celebrities discuss over meals, a source who sat near the couple tells us Bieber and Gomez discussed "dental work" and the latest "Transformers" sequel as they dined on Thai rolls and rice dishes. "All those little girls catching 'Wicked' at the Gershwin probably would have thrown their mothers off the balcony to get a glimpse if they'd known that Justin and Selena were just down the block," says the spy. Bieber and Gomez didn't play patty-cake, but, our insider says, they were "playfully roughhousing." "Justin was holding her hand," the source adds. "And then he did something that made Selena squeal, 'Ow, that hurts!' though she didn't seem genuinely upset." The couple must have been in a good mood. Our source adds that when one young male asked for a picture of Gomez for his niece, their security guard politely shut him down. But then the Bieber-Gomez party picked up the guy's check. Sweet. SELENA GOMEZ has admitted she finds it "weird" how her boyfriend Justin Bieber's fans want to see her dead. And the 18-year-old Wizards Of Waverley Place star has vowed to ignore the attention. All hell broke out in February when the couple went public at the Oscars after months of secretly dating. In May, they went on holiday to Hawaii and were photographed kissing constantly, even while flying together on a parasail and on a jet-ski. Since February, 17-year-old Bieber's fans - known as Beliebers - have been venting their anger at Selena and there are even I Hate Selena Gomez Facebook sites. But she refuses to be scared of the death threats and instead tries to block them out. She said: "It's weird, it's just weird, but I don't pay attention to it, I just try to live my life as normal as possible. "I just like to not focus on what the whole world is saying about me and just be happy with myself. I try to not read magazines or the internet but it's obviously unavoidable. I mean, it's everywhere, so there are moments where I read things that hurt my feelings. "But not most of the time. I don't surround my life with magazines or the internet." And it seems it's Justin's sense of humour not his heartthrob good looks that have won her heart. When asked what the best thing about being in love was she said: "When you laugh so hard your stomach hurts." Now Wizards has finished, Selena is taking a step from child star to a teenage one. She will be seen in new film Monte Carlo next month alongside Gossip Girl Leighton Meester. And today she releases her third album When The Sun Goes Down as Selena Gomez & The Scene. It marks her out as the US equivalent of Cheryl Cole with electro pop stompers and tunes written by Britney Spears and Katy Perry.